If memory serves me correctly, I seem to recall that the Komets did not qualify for postseason play in 2002. Do you mean 18 goals? 8 for us Sunday night, 4 for us Saruday, and Wednesday they had 6. I may be wrong though just wondering. I may be wrong too but I thought we were 8 points behind now, not 10..and didn't Toledo lose to wheeling? Nice article on Marino....nice guy, all around player and always knows where his teammates are at. Who/Suz I wish you would stop cutting down our goaltender. It is great fun to watch a NHL goalie. He has great skills and thats why he is playing. The problems this year have been everything but goaltending. Wow, sure do not know what games you have been watching....maybe you and Bob should both retire. Maybe you should pay attention to the other players on the ice.Without the goaltenders this year the Komets would have been dead long ago. It is amazing how having a lack of a strong Defense makes a goalie looks so bad to inexperienced fans...or in years past how a strong Defense makes a good goalie look unstoppable!!! Have at it "gentlemen"....we all see different facets of the game.....that certainly does not make us inexperienced and we certainly cannot be "JUDGED" by people (used loosely) such as you. Defense also had its up and downs.....nuff said. I absolutely enjoy watching Deslauiers play. I sit on the glass, and I watch him. Alot of those saves he makes are incredible. He is an NHL caliber goalie, I'm glad that he is in Fort Wayne. There are saves that he makes, that I don't think another goalie we have would of made it. So what, he gave up 5 yesterday. That was also his 3rd game in a row. He is human after all. Our goaltending, like every part of the team, has had it's ups and downs this season too. Absolving them of any blame for this season and giving them a free pass is saying they had no hnd in this. Now, that said, I don't think they were the problem most nights. Obviously a lack of scoring and poor special teams hurt us big time. But there have been nights that our goalies have had rough nights, Jeff included. He has looked average a few times. But he is human, and there's no question he has made it to the NHL for a reason. Let's hope we can make a desperate push for the PO's with our remaining games. It's nice to see the team playing with some urgency at home, albeit far too late :-/ Go Komets! 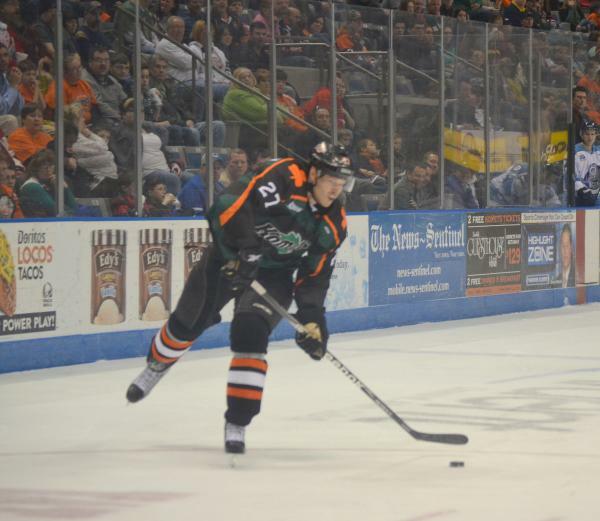 The Komets biggest problem all year is that they lack defense, offense , special teams ..Its time for the komets finish this season and move on to next year ..There will not be any playoffs this year for the komets. And the komets play the best in the east tomorrow Reading Royals ..